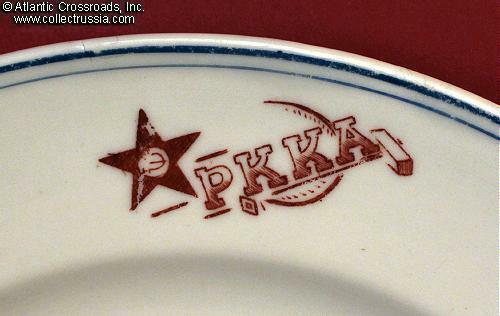 RKKA (Workers and Peasants Red Army) Mess Hall Dinner plate. 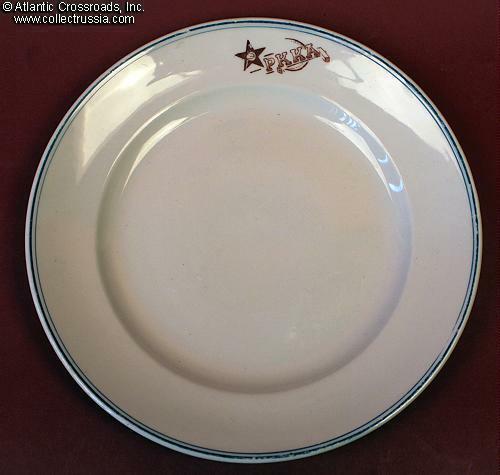 RKKA (Workers and Peasants Red Army) Mess Hall Dinner plate. Dmitrovskaya Porcelain Factory, 1936-1941. Porcelain, 9 1/2" diameter. Shallow for solid foods. 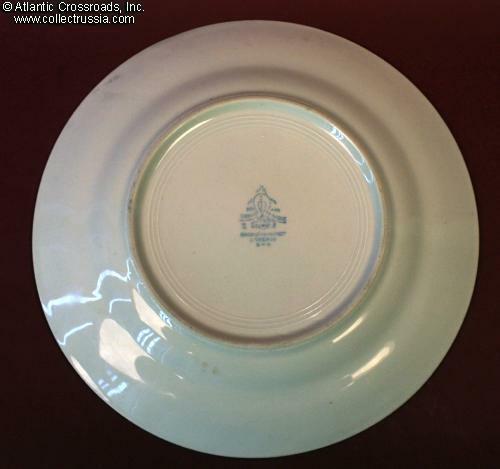 Solid construction to withstand mess hall or cafeteria use but somewhat lighter than similar plates used in other armies. On the rim, the Red Army Star, the RKKA letters, and a very stylized hammer and sickle appear in red. Plate's rim has blue trim. 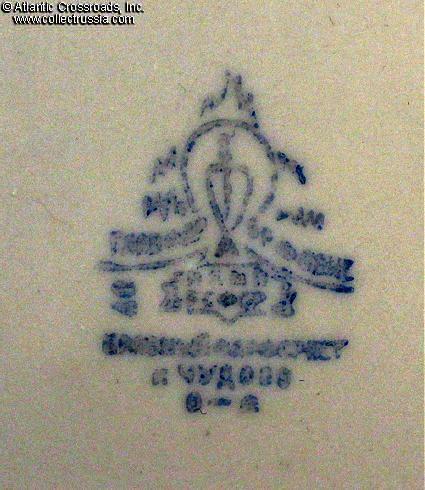 Bottom has a large maker mark. Very good overall condition with only a scratches on the interior. No cracks or chips, and still shows most of its original gloss.